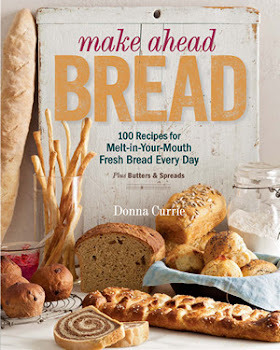 When I started paging through the book Food, Family and Traditions: Hungarian Kosher Family Recipes and Remembrances , I was first struck by how familiar many of the recipes were. Our family was neither Hungarian nor Jewish, but if your roots are in part of the world, there are a whole lot of similarities when it come to home-style dishes. My first instinct was to make one of those familiar dishes. Maybe stuffed cabbage, or mushroom barley soup, or borsht. But then I spotted the recipe for candied carrots. Now, the funny thing is that I often heard people talking about candied carrots when I was growing up. They'd be talking about a celebration menu, or a dinner party, and candied carrots would be on the list. Maybe they were in magazines or on TV, too. But they were never, ever, ever on my plate. People talked about them. But apparently no one ever served them to me. So I figured that now was as good a time as any to delve into the world of sweet vegetables. I figured that I could go back for the more familiar later. There's plenty of time for that. The first thing I found out was that these take a looooong time to make. And the second thing is that the carrots shrink a lot. I started with a pound of carrots and ended up with a little bowl full. But that's fine. They were sweet enough that you probably wouldn't pile them on your plate, anyway. 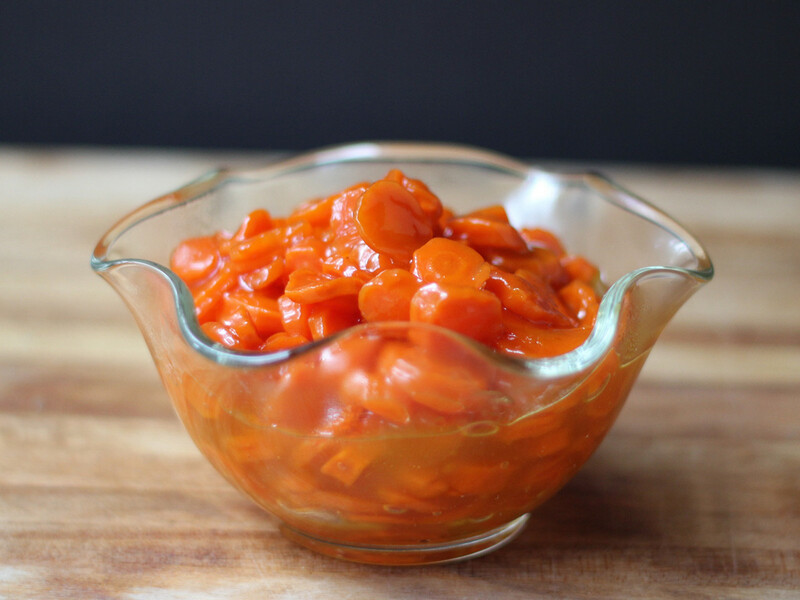 Have you ever had candied carrots? What do YOU think of them? 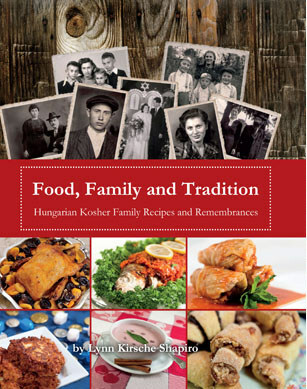 Recipe from Food, Family, Tradition: Hungarian Kosher Family Recipes and Remembrances by Lynn Kirsche Shapiro. Place oil in a 2-quart saucepan. Add the carrots and the sugar. Cover and cook on very low heat, stirring frequently, until the liquid reduces, approximately 1 hour. Meanwhile, in a small separate bowl, stir flour into ¼ into cup of the water, mixing until smooth. Add the remaining water, stirring to mix. Add flour-water mixture slowly to cooked carrots, stirring; add salt. Increase heat and bring to a boil. Decrease heat to low, stirring gently so as not to break carrots, and cook until sauce thickens. Remove from heat.